The Ministry of Transportation is collecting comments on the draft of a plan to enhance aviation connectivity with tourist markets. Direct flights between Vietnam and US to open in 2020. 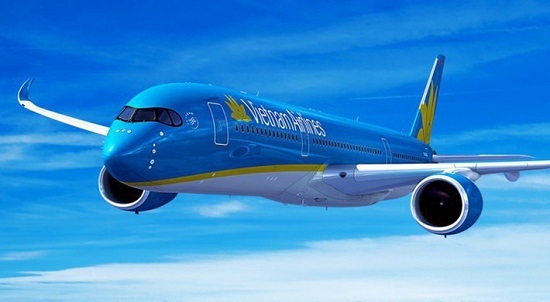 National carrier Vietnam Airlines will only launch direct air service to the United States in 2020, two years later than a prime minister-approved plan, according to the transport ministry's new draft plan, VnEconomy reported. The first destination in the US will be one city on the West Coast, either San Francisco or Los Angeles, according to the draft plan. Vietnam Airlines has been after the Vietnam-US direct flight plan for a long time, but has faced a lot of obstacles to its materialization. At the annual general meeting of Vietnam Airlines on May 10, 2018, the company's General Director Duong Tri Thanh admitted that Vietnam Airlines will need about five to 10 years to reach the break-even for the Vietnam - US direct route. According to initial calculations, in the first five years of operation of the direct flights to the US, Vietnam Airlines will post a loss of US$30 million per year. It is known that Vietnam Airlines has applied for a commercial airworthiness license to the US Department of Transportation. Accordingly, in order to be approved to fly to the US, other national aviation authorities must reach the standards of the International Civil Aviation Organization (ICAO), FAA safety regulations. Specifically, the aviation safety supervision level 1 (CAT 1) must be approved. After reaching CAT1, the CAAV will be allowed to supervise airlines based in Vietnam to ensure compliance with regulations and meet international standards to be able to fly directly to the US. The ministry's plan aims at opening new routes and increasing the frequencies of the existing routes of Vietnamese and foreign airlines, between Vietnam and key tourist markets in the world including the US, France, the UK, Japan, South Korea, China, Thailand, Malaysia, Singapore, Russia, Australia and India. For the Chinese market, by 2020, all major airlines in Vietnam will open new routes between international airports which are allowed to serve international flights to/from Hanoi, Ho Chi Minh City, Da Nang, Hai Phong, Van Don (Quang Ninh province), Nha Trang (Khanh Hoa province), Phu Quoc (Kien Giang province), Da Lat (Lam Dong province) and Chongqing, Dalian, Haikou, Wuhan, Ningbo, Hainan, Xian, Changchun, Fuzhou, Guilin, Guiyang, Harbin, Lanzhou, Shenyang, Xiamen, Zhengzhou, etc.